Start your journey with our one of our New Client Group Classes AND/OR Private Session Offers & experience Pilates as Joseph intended. Begin towards better movement, balance, and overall strength today. Don’t wait to start feeling better and stronger! Call, sign-up, or email us now! 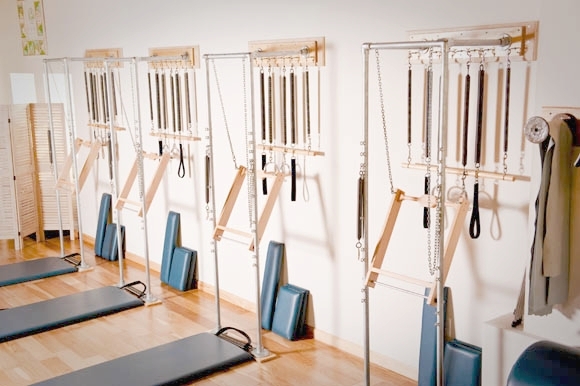 Call (678.561.3872) or email (info@properpilatesstudio.com) to book your appointment. Click here to go to our class schedule. We also have unlimited membership options and mixed packages available. Call or email the Studio for more information. The Pilates movement practice caters to people from all walks of life. It is an injury free practice which helps the mind and body work in harmony. Pilates is a safe and effective fitness regime for everybody. Those practicing Pilates regularly attest the fact that it provides control & stability in their bodies. It offers an environment of physical, emotional & spiritual support to enhance one’s self-image.Helps focus, improves concentration and also teaches the body to conserve energy. Most importantly it teaches one to love and treat their bodies with utmost kindness. The Pilates movement practice teaches one to move smartly, not just while practicing Pilates but even while one is going about their daily chores. Pilates just helps you do every thing else better, be it Walking, Running, Golfing, Swimming or just about anything else that you are passionate about. Pilates educates you about your body and allows you to move in ways you never thought was possible. All you need to do is set that commitment and fitness goal for yourself TODAY. Teachers at ProperPilates Studio are not just Fitness Instructors, they are real individuals who have experienced Pilates and the amazing benefits it has granted them with in their own bodies. They are constantly creating a journey for themselves where they discover their own physical potential all while expanding their passion to teach Pilates and carry the legacy of Joseph Pilates. Single Sessions, Package Discounts, Duet and Trio options available. Check the online store for more options. Call the Studio to book your appointment. Space is limited.